Land Rover Discovery information: everything you need to know if you own it, are thinking of buying one or just want to find out more about the family 4x4. 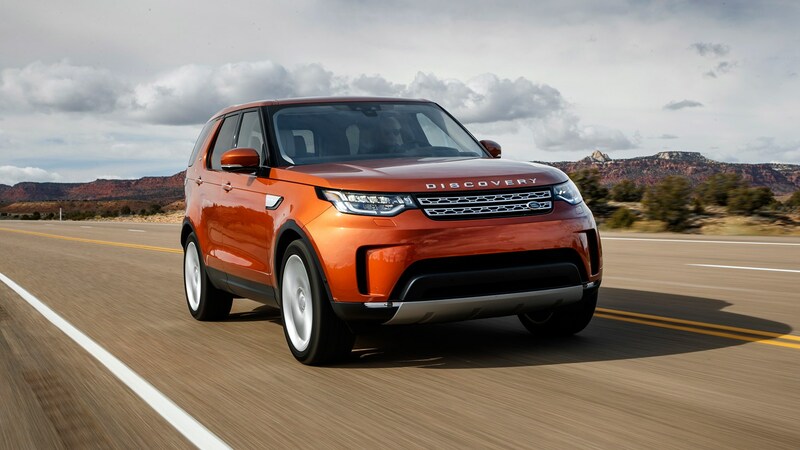 Click on the links below for all of CAR magazine’s news, reviews, videos, scoops and spy photos of the Discovery SUV range. Land Rover’s enormous Discovery is a seven-seat SUV with a 3.0-litre V6 turbodiesel that copes with its vast 2.7-tonne weight. Splendid ride quality and spacious practicality are givens, as is off-road capability. For more information on the Discovery 4x4, click on our further stories on the links below. Also be aware that the new Discovery will be launched in 2016 - check out our scoop story here. For a quarter of a century the Disco has built a reputation as the bedrock of the Land Rover range. The third-generation model was the one which went stratospheric, with the upright Tonka toy styling and third row of seats to give this SUV a proper family focus. Little has changed since, though now we’re on to the Discovery 4 model. This is a big car - and a heavy one - and it can be daunting to drive, but if you need space for seven there are few better cars to do the job. It’s as spacious as any MPV in the back row, and even adults will be comfy back there for long journeys. It’s dual-purpose too, feeling just as comfortable on the farm as on the motorway. If you ever head off road, this is the SUV for you. Just watch out for pricey running costs and a noisy ride, owing to the slipstream issues caused by those brick-like looks.